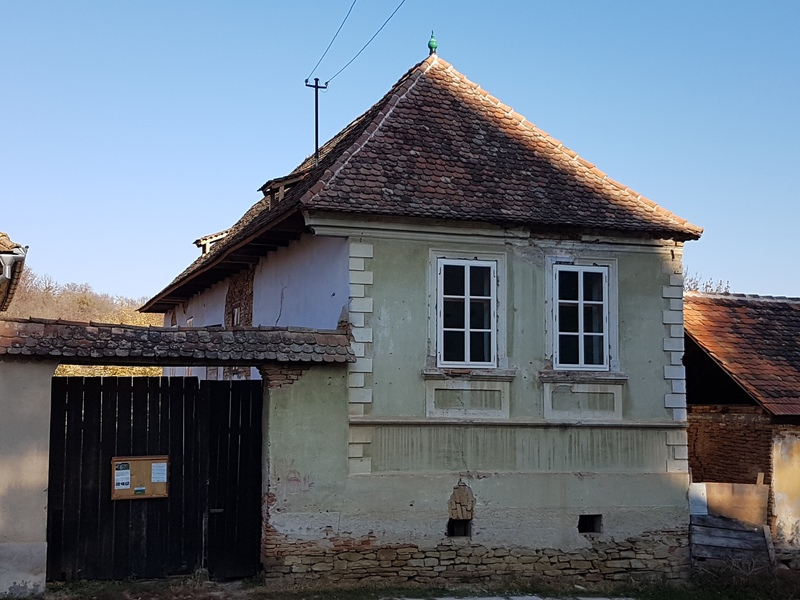 Restoration Teacher’s House – Churchfortress e.V. 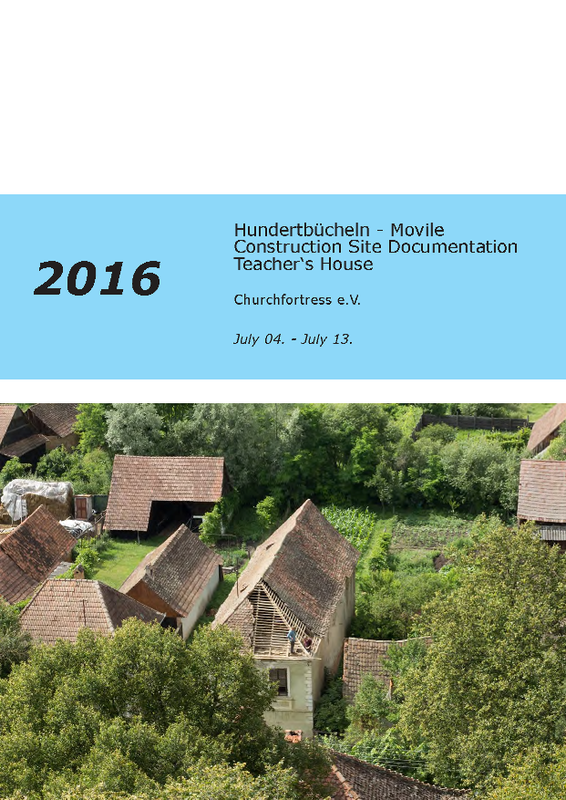 During our first visits to Hundertbücheln, the former teachers' house was severely threatened from collapsing. The building is located within the Kirchenburg ensemble—facing the old German school and the dilapidated Casino—. It is a typical historic village house with stylistic elements of early 20th century architecture. 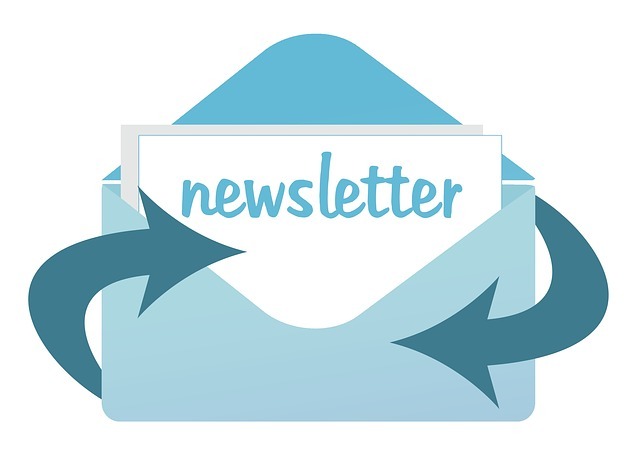 In 2015, the association Churchfortress e.V. decided to lease the house from the Evangelische Landeskirche and to carry out the first emergency measures on the roof and windows. 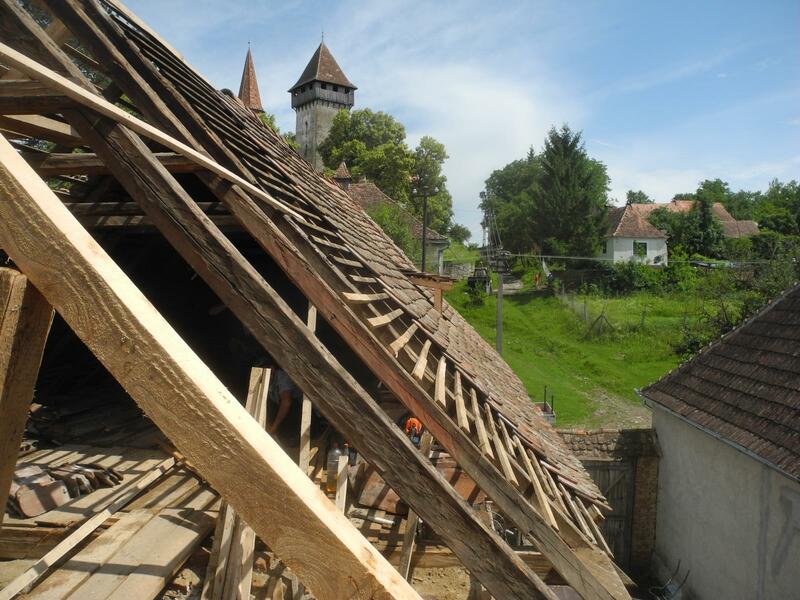 Since then, the association members have been working with intensive support from volunteers, villagers and experts to repair the building in a traditional way in accordance with the conservation of historical monuments. 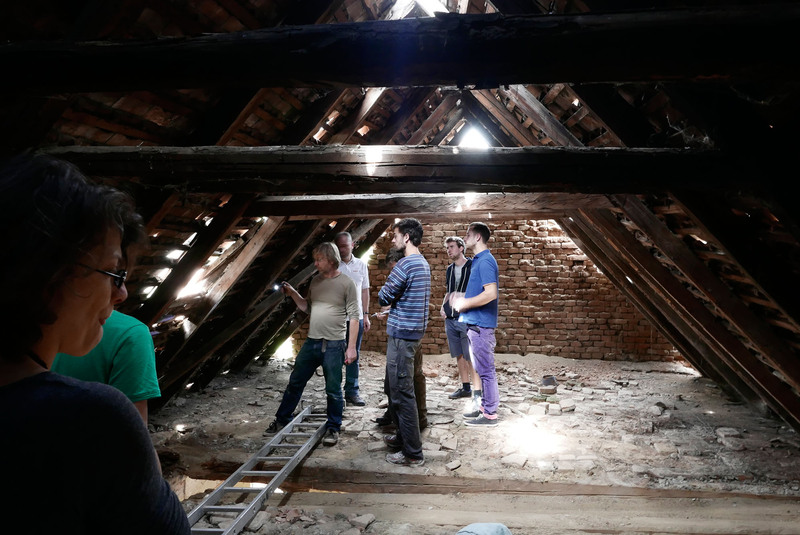 Our aim is to show how village houses in Transylvania can be renovated without losing their original character and to establish the Teachers' House as a place for education and intercultural exchange in the future. 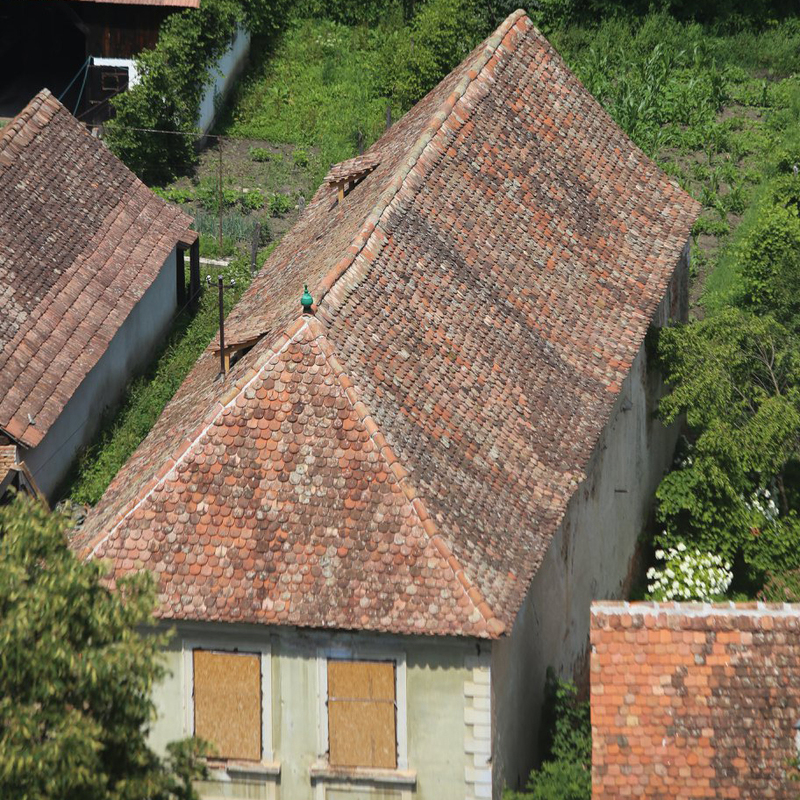 Since spring, the roof, including the dormers, has been completely restored in traditional style using traditional materials. In autumn, new exterior windows were installed. They were custom-made by a carpenter in Schäßburg according to the model of the old ones. 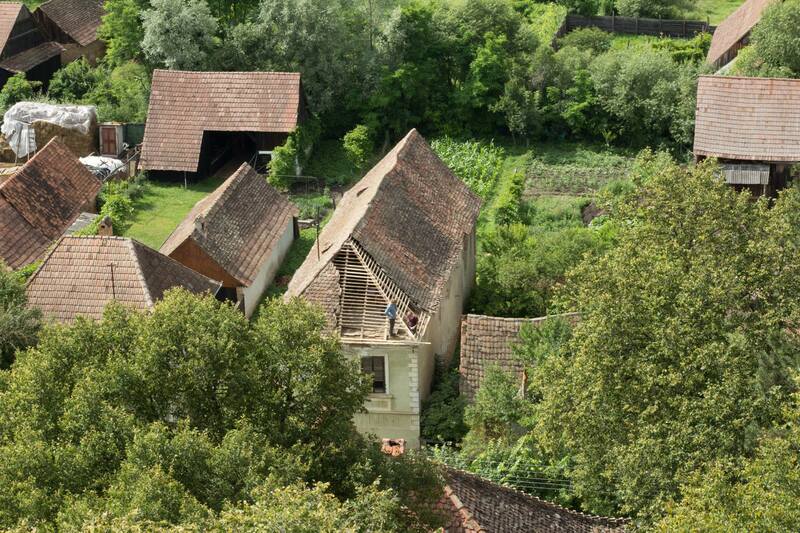 For the first time, the building is now completely protected from wind and weather and the association can now devote itself to the renovation of the exterior facades, cellars and interiors in the coming years. 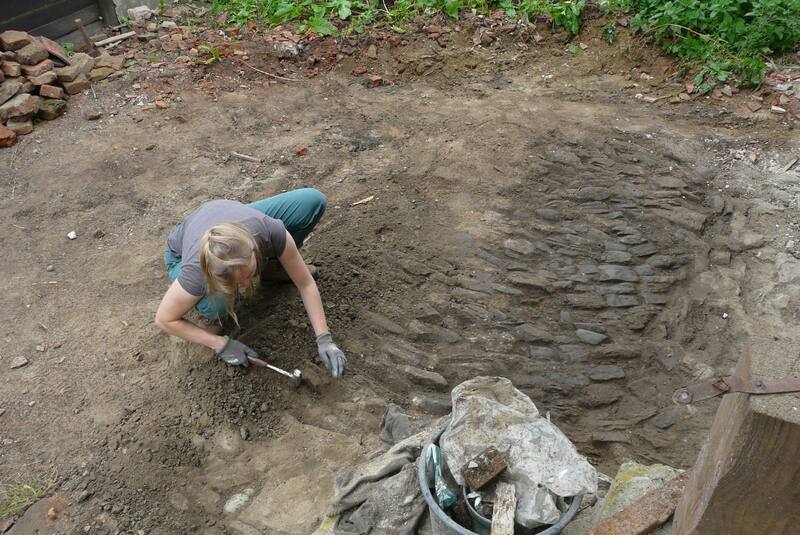 During the summer months, construction workshops and restoration measures take place at the Lehrerhaus. Here we always need helping hands. For single experts, groups of experts or curious laymen there is always something to participate in the project. 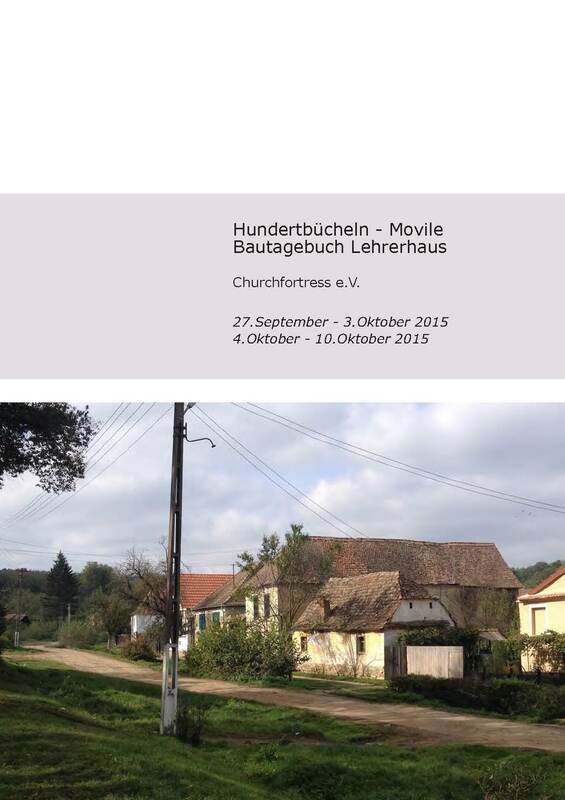 You are also welcome to visit us in the context of school or university excursions and projects in Hundertbücheln. 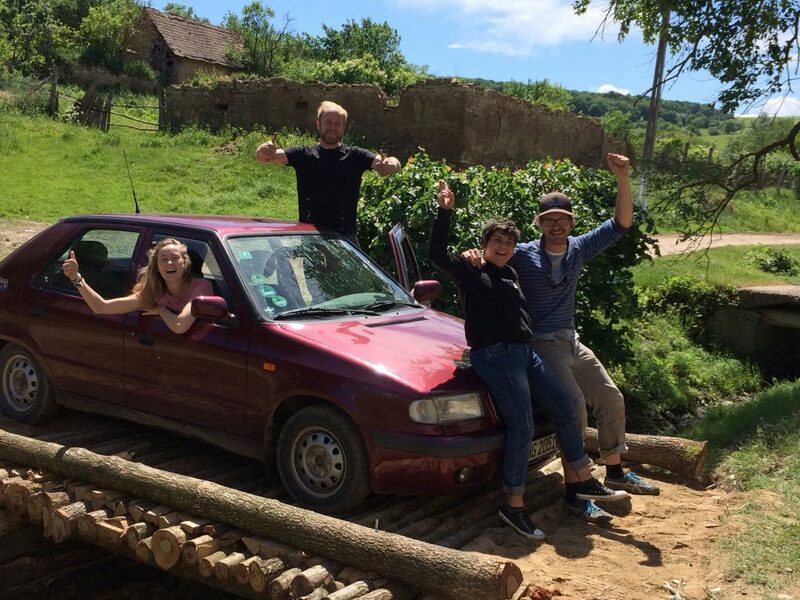 In recent years, we have been able to carry out several activities together with groups of students (mainly from the fields of landscape architecture and restoration) and young people. 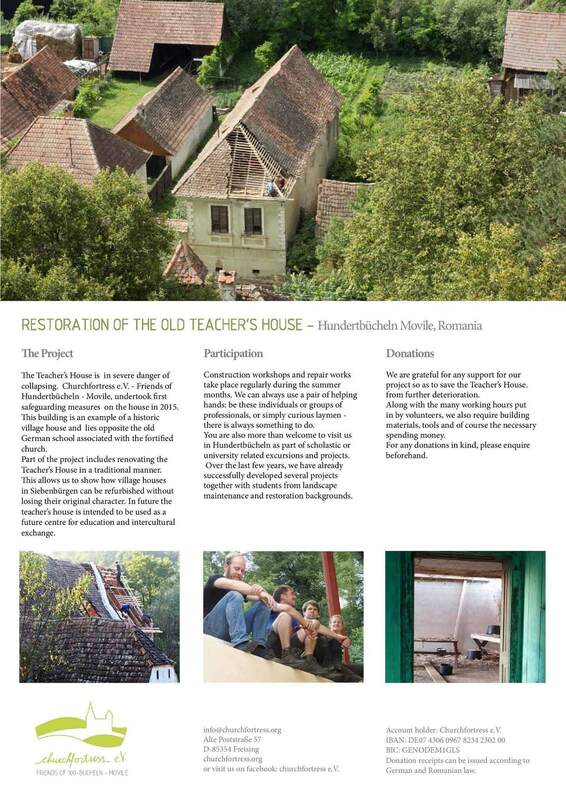 We are happy about every support of our project to rehabilitate the teacher's house and to develop it as a meeting place in Hundertbücheln. In addition to the many hours of volunteer work, we need the help of experts, building materials, tools and the necessary small money to carry out the construction work.